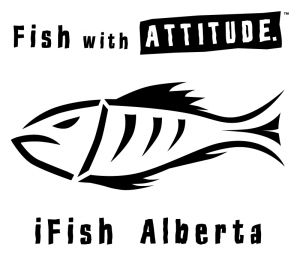 New iFish Alberta Version 3.4 Update Now Available! – 2014 Fishing Regulations: We’ve updated regulation data & possession limits for the new season! – Rivers & Streams: Now you can access details on hundreds of Alberta Rivers & Streams. Mark your HotSpots, view fishing reports, review seasons & limits plus much more. Perfect for all you Fly Fishermen & a great way to find new shore fishing spots. *Feature available as an in-app purchase. Enjoy these new additions? Don’t forget to rate us in the App or Google Play Store! Exciting App Additions to iFish Alabama & iFish Vermont! iFish Alabama - Randall Tharp’s special hotspots added to Lake Guntersville! With this addition you can view where Randall’s honey-holes are & try them out yourself! Simply search Lake Guntersville & you will see the GPS locations marked with a GREEN HotSpot Marker! iFish Vermont - Nearly 125 lake depth maps added where data was available! Find & Download these helpful maps before heading out on the water! As always, additions like the two above are also reflected in the iFish USA App for users who fish multiple states! Get your app today & Fish with Attitude! & That’s a Wrap for Android iFish Apps! We’ve just finished rolling out each state-specific iFish App onto the Android Platform (with iOS versions coming soon!). iFish Vermont, iFish Rhode Island, iFish Maryland, iFish North Dakota, iFish New Hampshire, iFish Nebraska, iFish Connecticut & iFish Delaware were the final 8 apps to complete the lower 48 states! 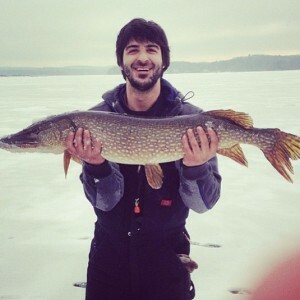 Learn Where, When & How to fish a lake near you! Find these States as well as the rest of the iFish Apps in the Google Play Store & Fish With Attitude! View images around where you are fishing across Canada and the USA with the “Nearby Photos” feature in our apps; now driven by Flickr. iFish Alberta, iFish BC, iFish Sask & iFish Ontario 3.2 iOS Updates Now Available! The Updates include iOS 7 Capability, New Ice Report Feature (AB, SK, ON) and Minor Stability & Bug Fixes. If your phone isn’t set up to automatically update your apps, be sure to update for these features! Ice Fishing is SO big in our Canadian Apps & in the past users would just post ice thickness reports as a lake report; but not anymore! We’ve added a new feature in iFish Ontario and iFish Sask that allows users to post ice reports just like a lake report! Help out fellow anglers by updating ice thickness’ on lakes you are familiar with! Ice fishing is upon us in Alberta & like every year, ice thickness updates have been coming through the lake reports section of iFish Alberta. This year we’ve added a new feature allowing a separate Ice Report page allowing users to submit ice thickness’ and added notes just like a lake report. Help other Alberta Anglers out by utilizing this awesome new winter feature!